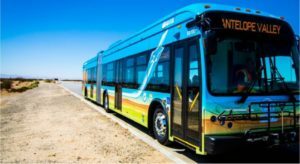 LANCASTER – The Antelope Valley Transit Authority is introducing free transfers on local transit routes for passengers using TAP Cards that hold pre-loaded cash value. Upon boarding, passengers with a pre-loaded TAP card become eligible to transfer to another local bus at no cost for two hours after the first regular paid fare of $1.50. There is no limit to the number of transfers within the two-hour time period. After two hours, passengers will again be required to pay the full regular fare of $1.50 on their next trip with their TAP card, activating a new two hour free transfer period. Since passengers who do not use a TAP card will still be required to pay full fare at each boarding, with no free transfers, the transit agency is encouraging riders to obtain a TAP card that is loaded with cash funds to take advantage of the free transfer option. of 18 TAP vendors in the Antelope Valley. For a list of TAP vendors in the Antelope Valley, visit www.avta.com.